Minnesota-based biotech company Calyxt received a 2018 NAIOP Minnesota Award of Excellence in the Office Built-to-Suit category. This prestigious award recognizes exceptional developments by NAIOP members and their teams. Calyxt believes that agricultural technologies can have a profound, positive impact on humanity. 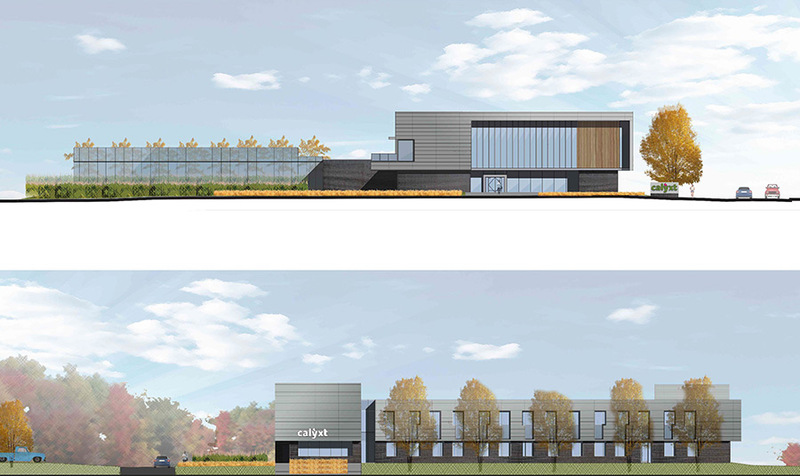 To support their goals of developing healthier foods for consumers while helping farmers reduce their environmental footprints, Calyxt partnered with Capital Real Estate to develop a new headquarters to meet their specific R&D needs. 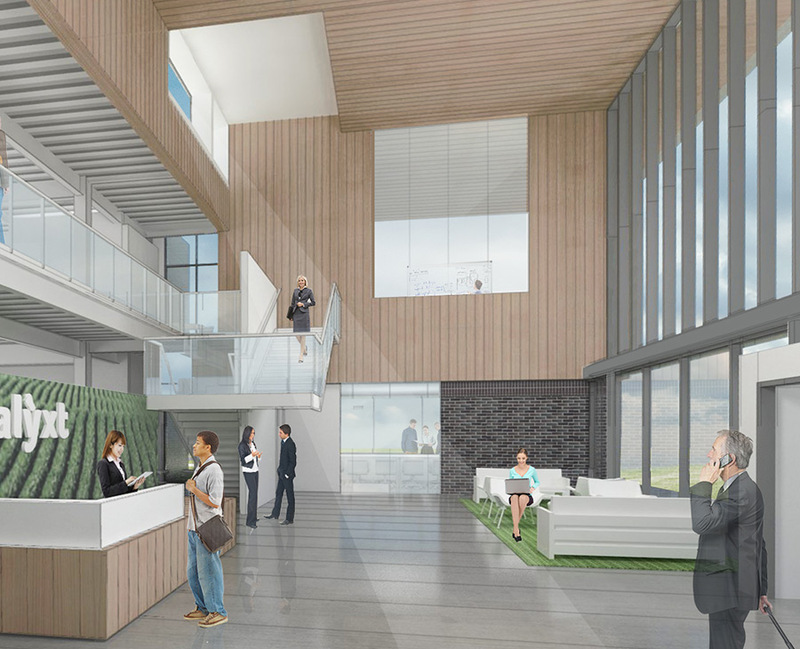 The two-story building connects to existing greenhouses and test plots on the 11-acre site, strengthens research capabilities in state-of-the-art labs, and demonstrates the farm-to-table attributes of their products through a demonstration kitchen. The project allows Calyxt to accelerate their research and time to market. The design celebrates Calyxt’s connection between agriculture and technology. The building’s modern forms are clad in natural materials including wood and brick. Large areas of glazing reinforce indoor-outdoor connections with views to existing test plots and Langton Lake Park beyond. A two-story entry welcomes guests and houses public functions. The interior includes a mix of daylit office spaces and high-tech laboratories. The whole is designed to appeal to investors, attract top talent, and build the Calyxt brand. Click here to see the full list of this year’s winners.